Thank you everyone for the birthday wishes. It was a fun weekend, but the day of my birthday included an unpleasant surprise-- the starter on my car went out. I wasn't planning on going anywhere, but just knowing I couldn't was frustrating. Fortunately I had today off of work and was able to get it repaired without much inconvenience. My local yarn shop, Green Planet Yarn, offers a birthday special to customers one time each year during their birthday month. After they ring up your yarn, you pick a chip out of a bowl and receive the discount on the chip. My chip was for 20% off. I bought a couple skeins of Araucania yarn made from sugar cane to knit a lace scarf for myself. And I picked up this cotton to make Log Cabin Wash Cloths. Here is my first attempt from yarn in my stash. It is SUCH a fun pattern. You pick up stitches all the way around the square, which is something I'm still learning to do correctly. It has many imperfections, but that's okay. One thing knitting has taught me is to let go of trying to do things perfectly and just enjoy what I create. My sister Lisa (aka Feltypants) gave me one of her paintings for my birthday. When she showed it to me a few months ago, the first thing out of my mouth was, "Is that for me?" She said no and I was disappointed. Turns out it secretly was for me. It's hard to see in the photo, but "Faith" is written across the top. My other sister, Hilary-the-bride, cooked a delicious chicken fondue dinner and made homemade chocolate ice cream. She and her husband gave me a Twilight tote bag full of loot. Twilight calendar, jigsaw puzzle, poster, and even some non-Twilight tattoos. Oh, and a gift certificate for MORE YARN. Yippee! A big thank you to Rachel at Not-So-Plain Jane for my birthday surprise. It really made me smile. Bloggy friends are the best. I haven't had time to do much birdwatching this summer, but birds and their nests are still making their way in to my life. This owl print is a recent thrift store find. I bought this ring in a boutique last week after I saw my sister wearing a similar one. It's made out of a Scrabble tile. Bird nest was the theme of my monthly ATC swap group. 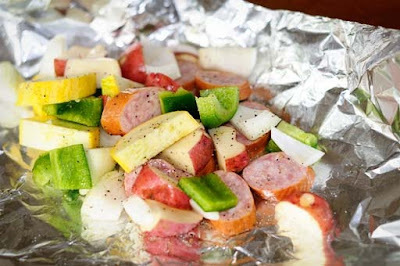 This one is from Rachel at Not-So-Plain Jane. 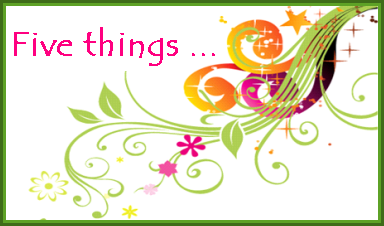 The quote by William Blake says, "The bird a nest, the spider a web, man friendship." My photo doesn't do justice to how beautiful it is. The colors have a faded, antique feeling to them and the background is thin netting. From Deb at Garage Sale Gal, who decided on the bird nest theme. Deb is so talented at making greeting cards, tags, and collages. I bought these bird images at My Favorite Things for collages and greeting cards. Aren't those swallows just screaming for glitter? I'm taking a couple extra days off this weekend and hoping to get out do some real birdwatching, as well as the thrift store kind. My little sister is getting married tomorrow! I bought my dress earlier this week at Dress Barn. And settled on a necklace to wear. I worked last weekend on a wedding gift package based on a project in GreenCraft Magazine. The box is from a package of microwave popcorn. I painted, collaged, and glitterized it, and it was lots of fun. Everything I used on the gift package is from my art supplies or recycled. My sis and her husband-to-be requested that guests donate to a charity rather than buy them a gift. So, inside the package is a bank deposit slip from 1905 for seventeen dollars, two rolled up sheets of music tied with a ribbon and a notice that a donation has been made in their name. We had the rehearsal last night, and my sister looked gorgeous as she did a practice walk down the aisle with Dad and ran through the vows with her beloved. She kindly gave me a thank you gift of Lush bath products (my favorite) and some chocolates for helping with wedding errands. I'm excited about the big day tomorrow and will be back in a few days with pictures of the event. 1) Bonjour! Would you like to send your pet to Paris? Carol at Paris Breakfasts will create a watercolor portrait of your pet in Paris from a photo you send her. 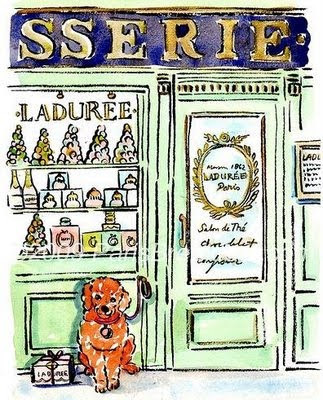 Here is Carol's portrait of a pooch named Winston in front of pastry shop. What a great gift idea. 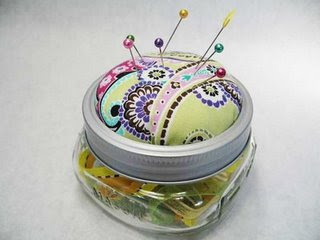 2) I love, love, love this idea for a canning jar pincushion from Suzanne's Crazy for Collars. Her excellent tutorial is so easy to follow, I can't wait to give it a try. 3) Noelle at Sew On and Sew On makes these whimsical little houses, huts, and caravans. They are hand sewn and embroidered with sweet little touches like flower pots and button wheels. I adore them. Noelle also offers them for sale on Folksy. 5) Isn't this necklace sweet? 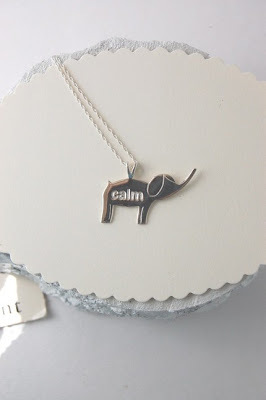 I don't wear much jewelry, but I really like that little elephant. I originally saw it offered in a giveaway on The Bright Side Project, but didn't win. Fortunately, it's available on Etsy. When I bought my digital camera, the clerk at the store tried to sell me a case to go along with it. My eyes lit up when he mentioned it-- something new to knit and felt. I loved that I was able to go home and make my own rather than purchase it in the store, and I loved it even more when I spilled a little water in my purse and the felt case protected my camera by soaking it up. For this pattern, I used Malabrigo Worsted Merino yarn. It is my absolute favorite yarn to felt with-- it's soft when you're knitting, and felts up fast and thick in the washing machine. I realize the colors in the variegated yarn that I used aren't the most beautiful, but I found it on sale for 30% off, so I'm willing to live with it. This is an easy pattern, knit side-to-side rather than lengthwise, but it does involve picking up fourteen stitches. I used to avoid patterns that require picking up stitches because I didn't know how to do it and thought that it sounded hard. It turns out it's easy-peasy and kind of fun. Here is a tutorial provided by Knitty. The finished case is approximately 4" wide at the top, 3" wide at the bottom, and 5" long. If you want to experiment, this post includes a picture of the case with vertical stripes. 1) Cast on 50 stitches. 2) Knit 26 rows in garter stitch and then bind off loosely. 3) Pick up 14 stitches centered along one of the short edges to begin forming the flap. 4) Starting with a knit row, work 13 rows in stockinette, and then bind off. This is the flap. 5) Use a tapestry needle to seam up the sides. The nice thing about felting is that your seams don't have to perfect; the felting hides little imperfections. 6) Felt the case. I felted mine by placing it in a pillow case and washing it in hot water along with a towel for a cycle that lasted approximately 30 minutes. It came out of the washer perfectly felted, but please keep in mind that felting is unscientific and your case may require more or less time to get to the correct size. Check it occasionally during the cycle. 7) After the case has dried, sew the button on the outside of the case under the flap. 8) Use a craft blade to slice the buttonhole in the correct place on the flap.